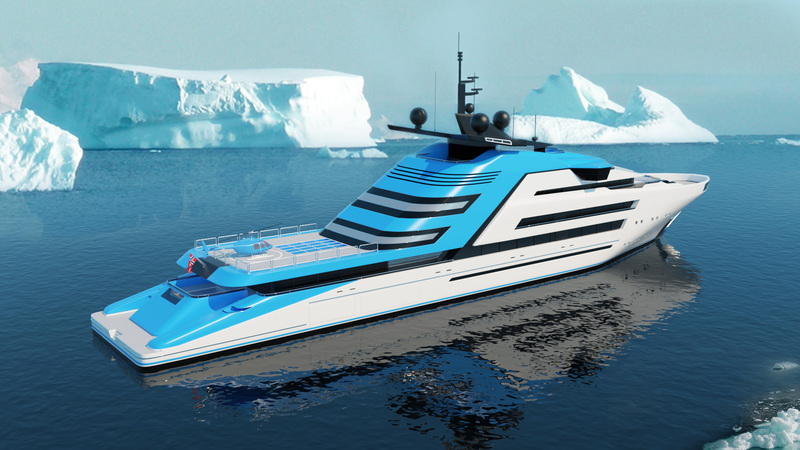 Norwegian yacht designer, Kurt Strand, presented his new superyacht project. 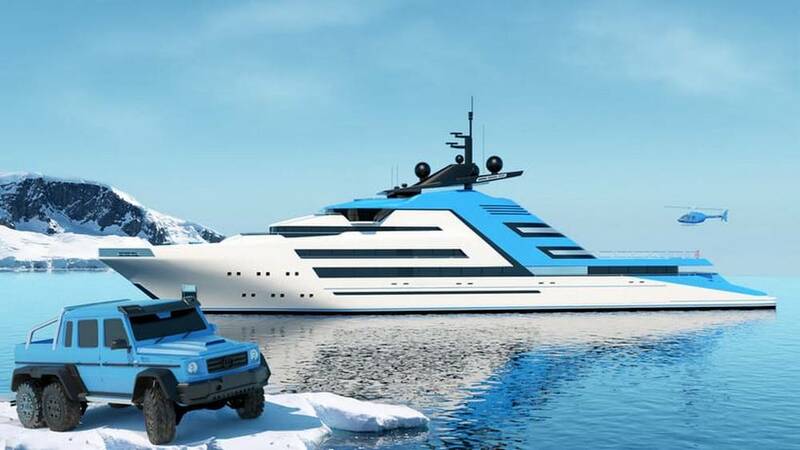 The 122 meters, explorer yacht was inspired by the wonder of Mother Nature and it is called Aurora Borealis. Its purpose is to take you around the world with ease. It is designed to be luxurious and comfortable at the same time, so you don’t feel like you are far away from home. Aurora Borealis will be six-story high and will have a 20-meter beam that can be transformed into an open outdoor experience. 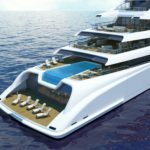 There will be a large helicopter pad on the aft deck behind a swimming pool with a glass floor. The helicopter hangar will be large enough for two helicopters. In bad weather, the hangar’s large gate can be closed, and you won’t feel any storms that come across you at sea. Apart from that, there will also be a movie theatre, a beauty and spa center, a gym and another hangar and storage for tenders and toys and a submarine. 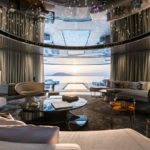 The master suite is 400 square meter and has a 180-degree view. 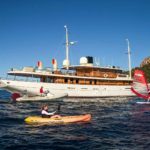 There are also 10 cabins 20 guests. Guests can enjoy the outdoor jacuzzi, gym, spa, office, library, sun lounge area, and even a wine cellar. There will also be another 8 VIP suites for 18 guests. 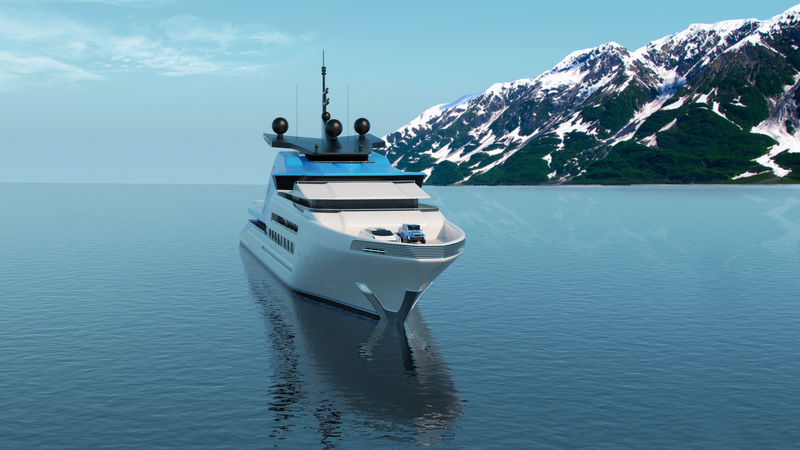 The crew quarters will be on the lower deck with cabins and living area, accommodating a staff of 48. 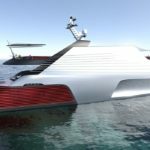 Aurora Borealis is designed with an environmentally-friendly propulsion system of three electric pods powered by hydrogen fuel cell generators, with the top speed of 20 knots. The yacht will also have a backup Diesel powered generators.